I'm going to start this post off by saying I used to hate reading articles that professed things like "Change your diet and cure your anxiety!" or "Eating a handful of cashews daily will make your mental illness disappear!" (yes, I did read that once). So when I write about my anxiety I try really hard not to make definitive statements like that, because everyone's experience is different. Doctors don't prescribe the same medication to every cancer patient. So. 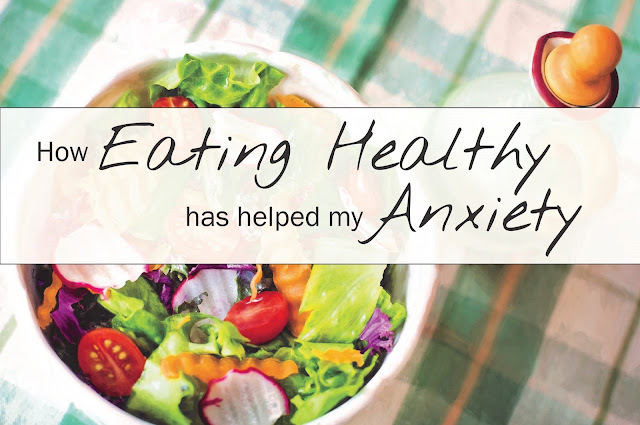 Eating healthy has not cured my anxiety. (I wish, amirite?) But it has helped me in a couple of key ways that I think are significant enough to share. Two ways, to be specific. #1: Eating healthy makes me feel better physically. No matter how well we actually follow a healthy eating plan, I don't think anyone can deny that eating a balanced diet makes them feel better than when they eat nothing but junk food. I mean, it's science. Your body needs certain nutrients to function correctly, and when you don't give it all the nutrients, you feel sluggish and tired. I'm not going to sit here and say my diet is perfect though. I love Doritos as much as the next girl and can't go to bed without having a handful (or three) of chocolate chips, so I wouldn't consider myself a health nut by any means. Back in January I was watching a bunch of health food documentaries and realized my diet could definitely use a health boost, so I decided to go vegan for a month. I don't know if I'd consider it a life-changing experience, but I am really, really glad I did it. Cutting out meat and dairy wasn't nearly as hard as I thought it'd be, and I found a lot of awesome plant-based recipes that I still turn to regularly. 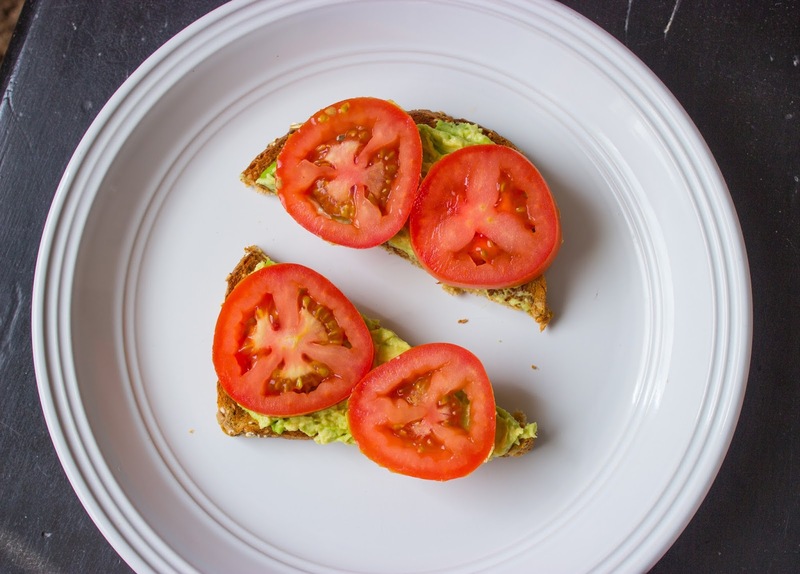 The biggest thing I got out of it was that I now try to focus my diet on whole foods, which can be challenging especially as a college student with such a hectic schedule, but ultimately makes me feel so much better. I also like being able to really eat as much as I want because when I'm snacking on strawberries and almonds I don't feel guilty if my snack break lasts a little longer than I planned. That also helps with my anxiety- I experience a lot of guilt around food (which is really unhealthy and something I'm continuously working on), but knowing I can't rationally feel bad about eating two apples instead of one gives my mind one less thing to dwell on. #2: Eating healthy makes me feel less conscious about my body. Body positivity is something I am constantly on a roller-coaster with. I have days I feel great and days I feel terrible, but most of the time I'm somewhere in the middle. I've mentioned before that my anxiety manifests itself a lot in my confidence and insecurities, so what I eat can really affect how I feel about myself. (Again, I know that's not healthy, but you know, anxiety.) That being said, I don't follow a strict diet and I let myself eat junk food and sweets here and there. But when I try to keep most of my diet clean, it helps me in a couple of ways. First, eating healthy keeps me at a fit and healthy weight. Second, and more importantly, when I eat healthy I know I'm taking care of my body how I should. When I know I'm healthy on the inside, it automatically makes me feel better about my outward appearance regardless of my weight or how I feel like my jeans are fitting that day. And once again, it gives my mind one less thing to freak out about. So there you go. Like I said, I'm still going to eat chocolate every day and make waffles on Sunday morning, but my life is significantly better when the majority of my diet is healthy. I'm going to keep it up the best I can!